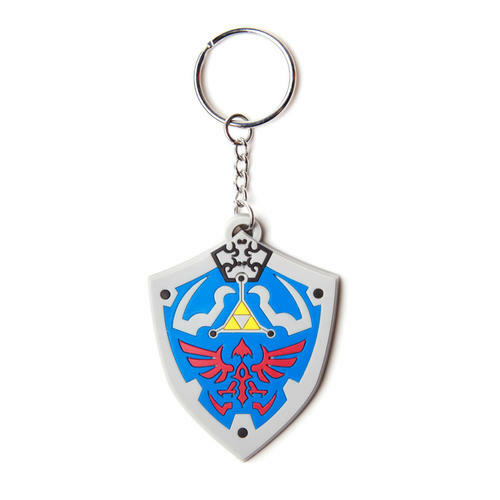 Nintendo Hylian Shield Rubber Keychain. Perfect for your keys, bag, belt or other items. Collectable for fans of the series. Officially licensed. 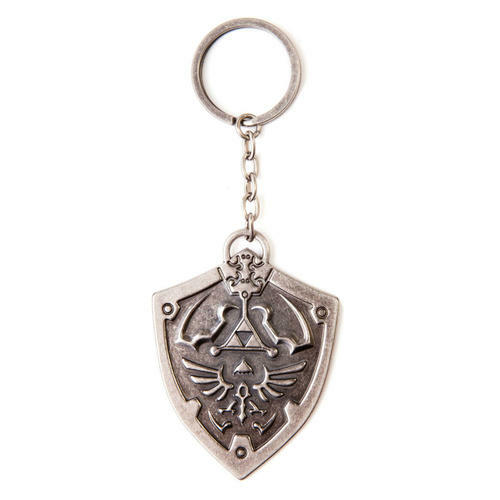 Nintendo Hylian Shield Metal Keychain. Perfect for your keys, bag, belt or other items. Collectable for fans of the series. Officially licensed. 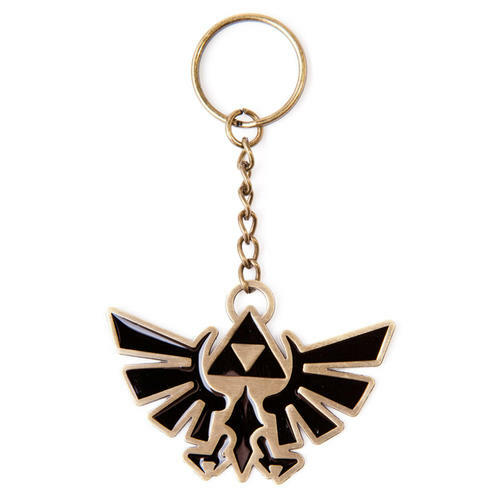 Zelda Triforce Metal Enameled Keychain, perfect for your keys, bag, belt or other items. Collectable for fans of the series. Officially licensed. 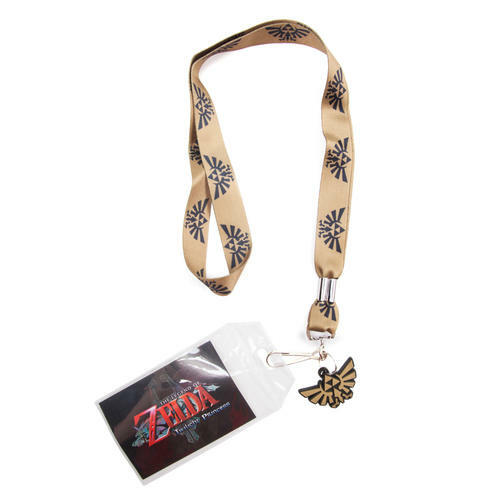 Lanyard featuring a design based on the ever popular Zelda series. Features rubber pendant, ID window with character image and logo designed ribbon. Officially licensed. 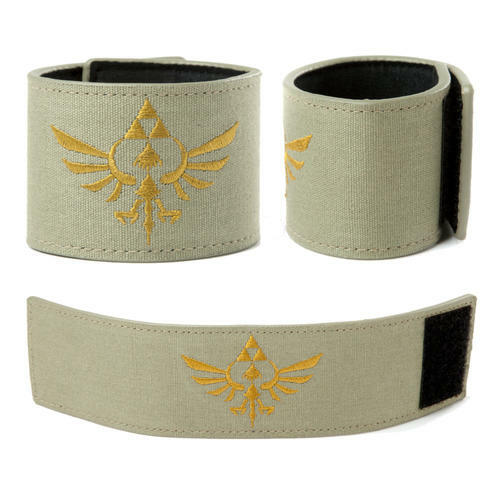 This Zelda Wristband features an embroidered Triforce logo, well-known to gaming fans. It also features a Velcro fastener design and is ideal for dress-up or everyday casual use. Officially licensed. 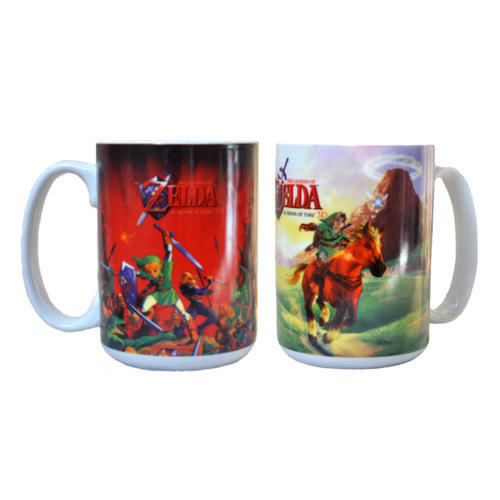 Assortment of ceramic Nintendo Legend of Zelda mugs featuring green and red coloured Ocarina of Time designs. Officially licensed. 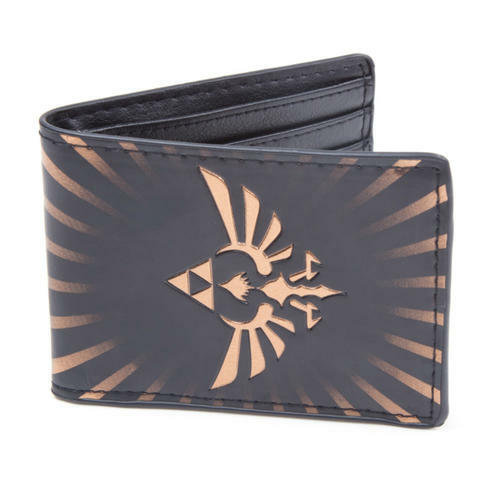 Wallet featuring a Triforce symbol and logo fom the Zelda series. Inside are note and card slots and coin pocket. Officially licensed. 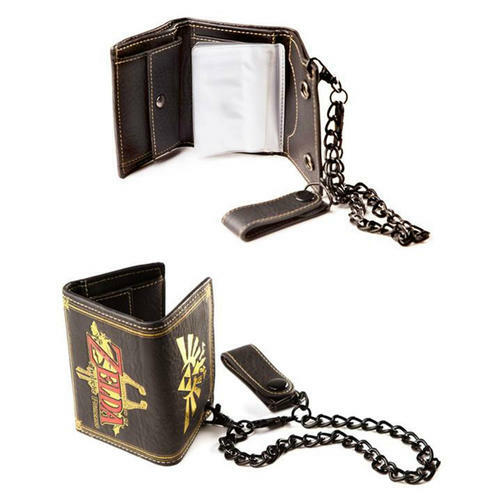 This Zelda Bi-fold Wallet features a design based on the Triforce Gold Bird logo, well-known to gaming fans. Inside are note and card slots as well as a coin pocket. Officially licensed. 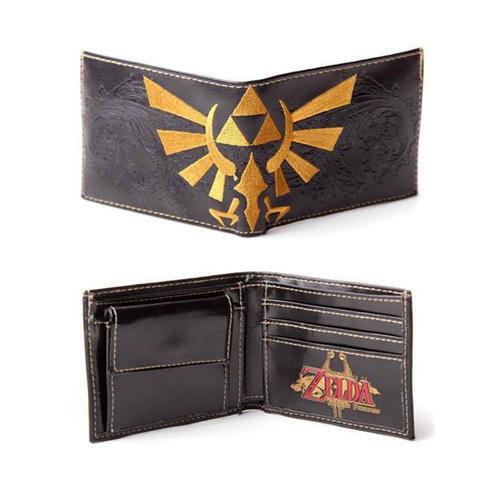 Wallet featuring a Triforce symbol and logo fom the Zelda series. Inside are note and card slots, ID window, coin pocket and chain attachment. Officially licensed. 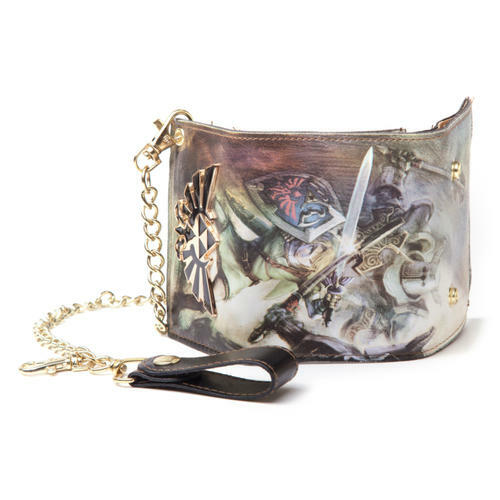 Wallet featuring an all over print of Link as well as a metal Triforce symbol & logo. Inside are note and card slots, ID window, coin pocket & chain attachment. Officially licensed. 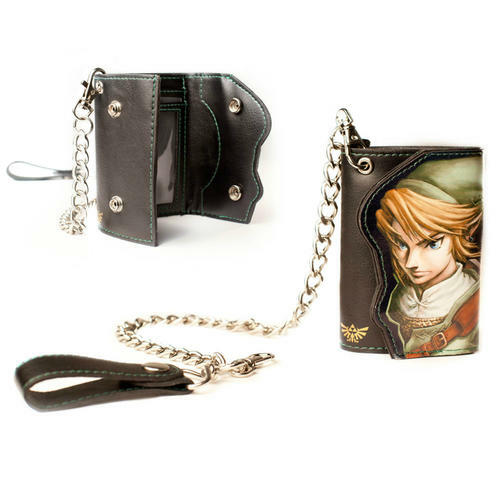 Highly detailed chain wallet featuring die cut art of Link from the Zelda series. Includes belt clip and chain, card and note slots, ID window and coin pocket. Officially licensed. 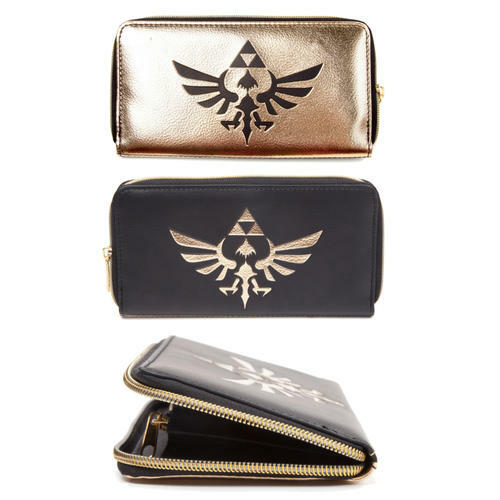 High quality purse style wallet with embossed multiple logo's & large gold Zelda Triforce logo. Includes card slots and zip up purse section. Officially licensed. 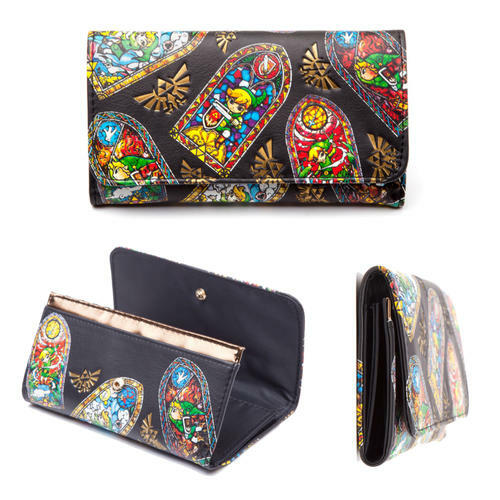 High quality purse style wallet with embossed stained glass window style design of the ever popular Link character from the Zelda series. Officially licensed. 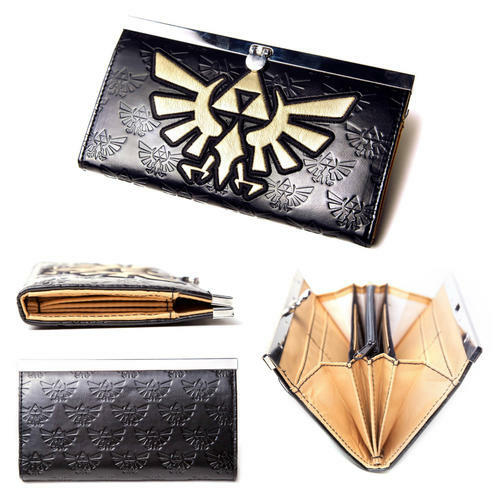 This Zelda Ladies Wallet features a gold and black Triforce logo design on alternating black and gold sides. The wallet also includes note and card slots as well as a zip-up coin purse. Officially licensed. 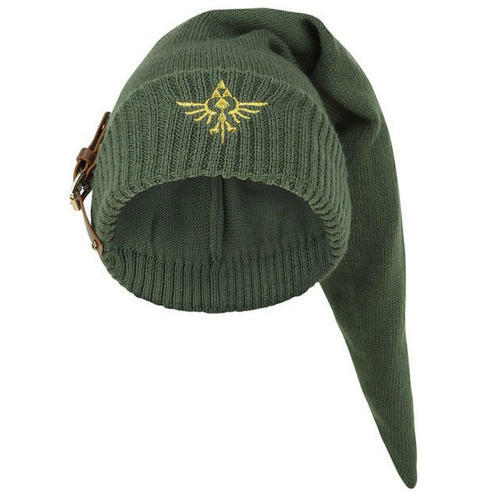 Keep warm with this stylish and comfortable Zelda Beanie hat with classic Triforce logo design. Officially licensed. 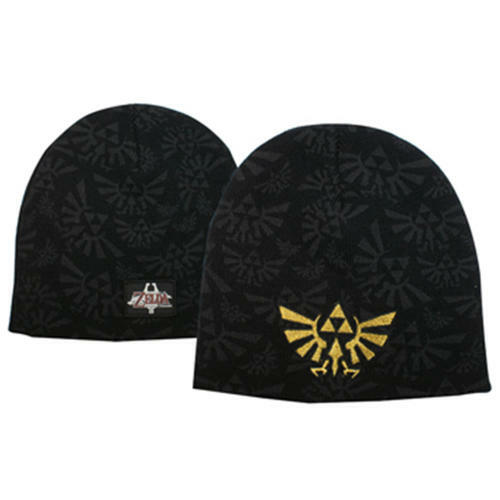 Soft and comfortable Beanie featuring a high quality embroidered Triforce logo from the ever popular Zelda series. Officially licensed. 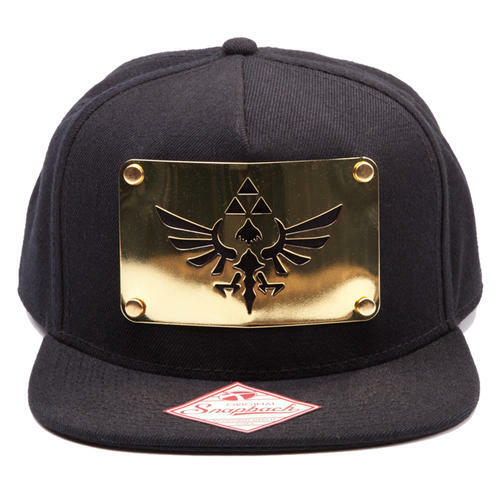 Link cosplay hat featurng high quality embroidered Triforce logo and buckle effect fastener. Ideal for fans of the ever popular Zelda series. Officially licensed. 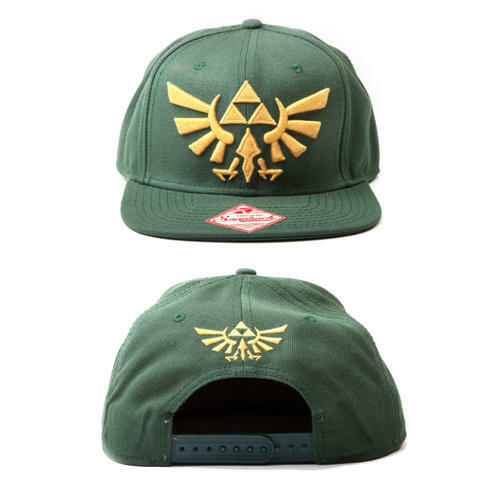 Snapback Cap featuring a high quality embroidered Zelda Triforce logo design. Features adjustable fastener. Officially licensed. Snapback Cap featuring a high quality embroidered Triforce logo design from the ever popular Zelda series. Officially licensed. 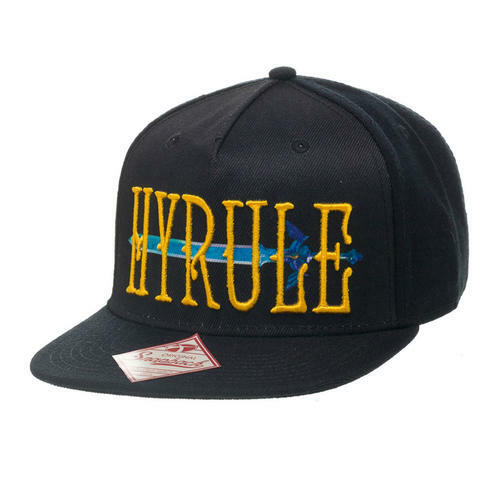 Snapback Cap featuring adjustable fastener and high quality embroidered 'Hyrule' text and sword image from the ever popular Zelda series. Officially licensed. 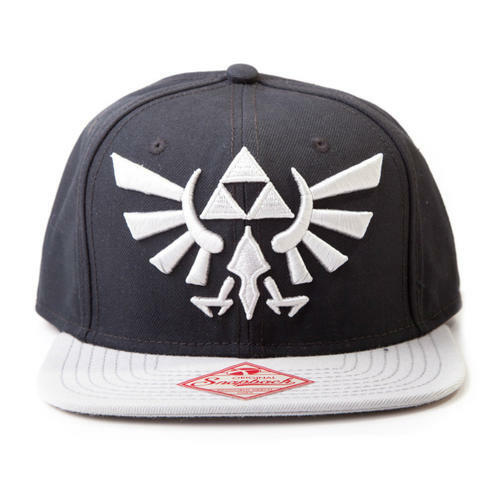 Snapback Cap featuring a Triforce logo on metal plate design, instantly recognisable to fans of the ever popular Zelda series. Also features adjustable fastener. Officially licensed. 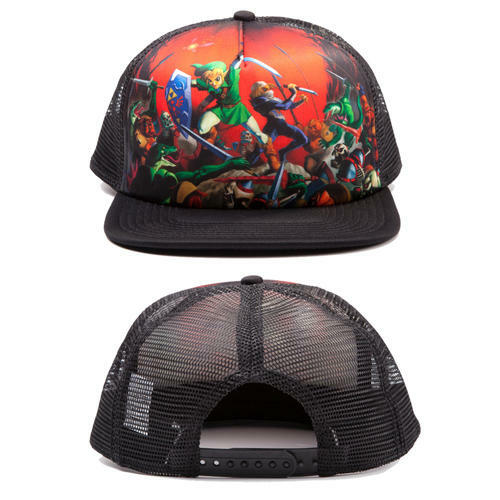 Trucker style Snapback Cap featuring adjustable fastener and iconic action scene from the ever popular Ocarina of Time Zelda release.Officially licensed. 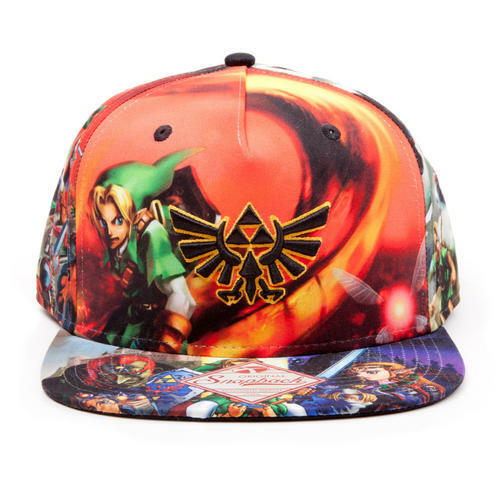 Snapback Cap featuring adjustable fastener and iconic action scene from the ever popular Zelda release. Also features embroidered Triforce logo. Officially licensed. 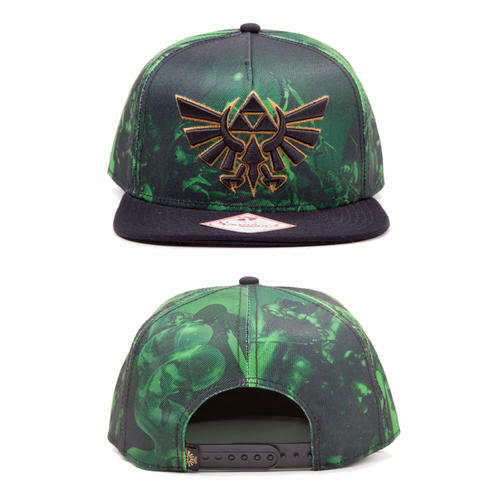 Snapback Cap featuring a high quality embroidered Zelda Triforce logo and all over print design. Features adjustable fastener. Officially licensed. Comfortable and trendy crew socks featuring a Zelda logo design. Ideal for fans of the iconic video game series. Officially licensed. Soft and comfortable socks featuring a design based on the Hylian shield from the ever popular Zelda series. Available in 2 sizes. Officially licensed. 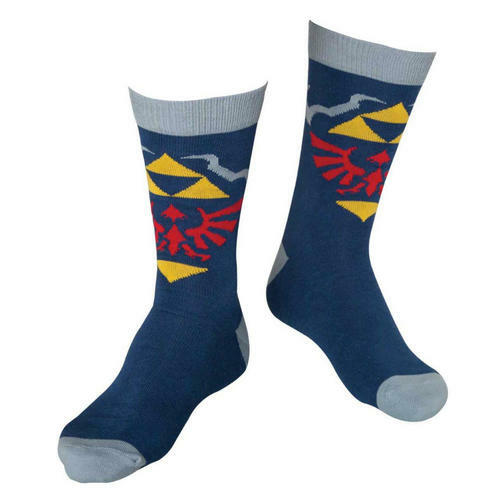 Turn your legs into Zelda Boots with these knee high socks. 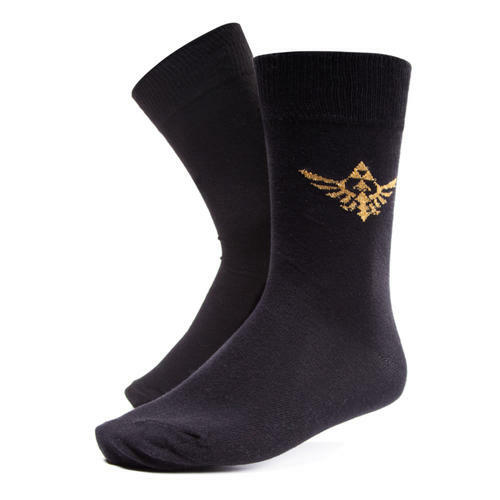 They are soft and comfortable and feature a classic triforce logo symbol and ribbon design. Officially licensed. 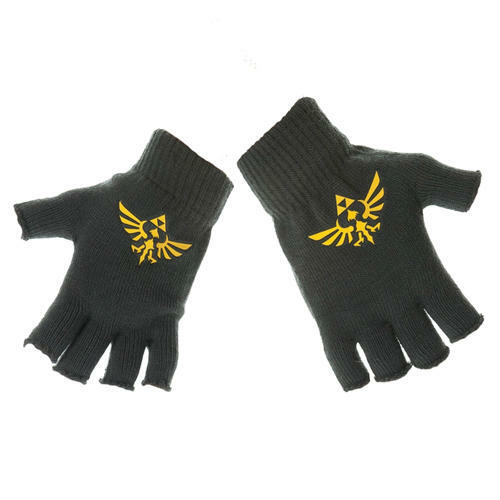 Fingerless Gloves featuring a print of the iconic Triforce logo from the ever popular Zelda series. Officially licensed. 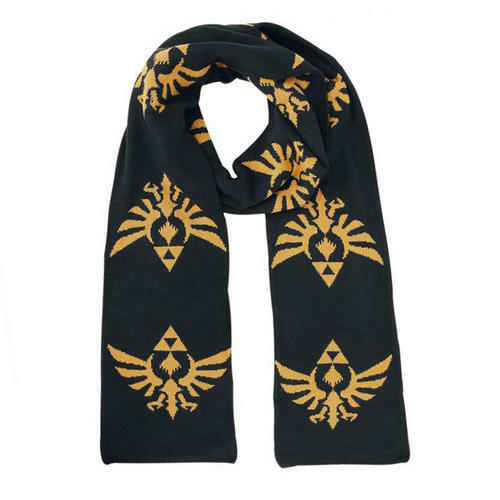 Soft and comfortable Zelda Scarf with an iconic Triforce logo design. 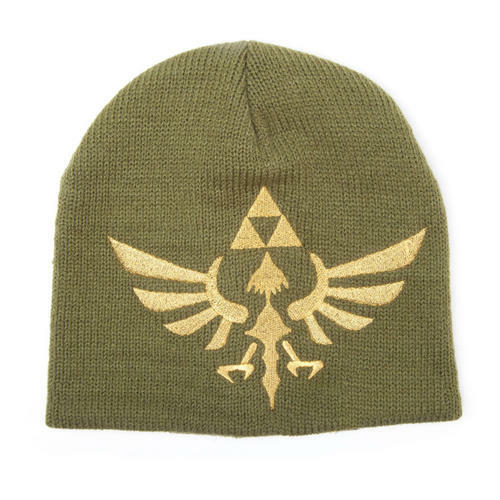 Ideal neck-warmer for fans of the ever popular videogame series. Officially licensed. 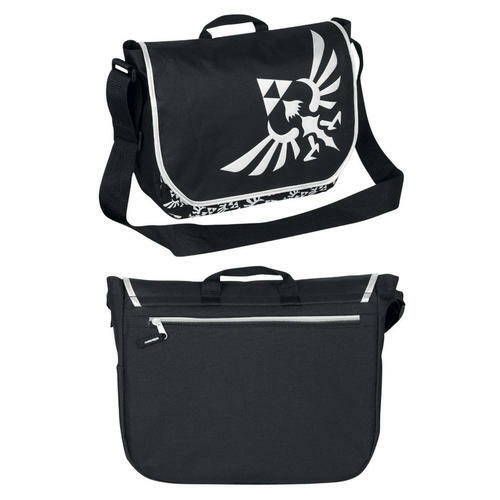 Gym Bag featuring the iconic Triforce logo from the ever popular Zelda series. Includes draw string straps and hanging hook. Officially licensed. 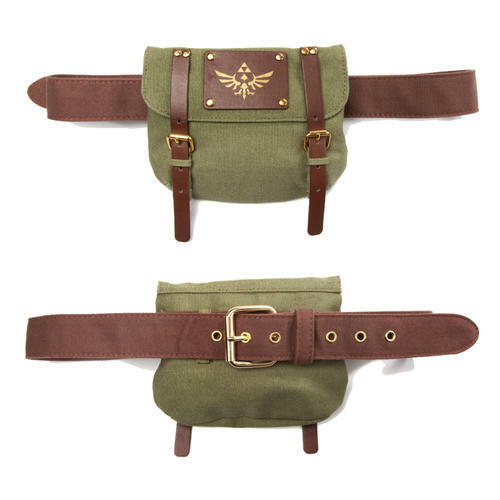 This Zelda satchel is approximately 18cm x 13cm and features a Triforce logo design and 2 buckle fasteners. Made using high quality fabrics. Officially licensed. 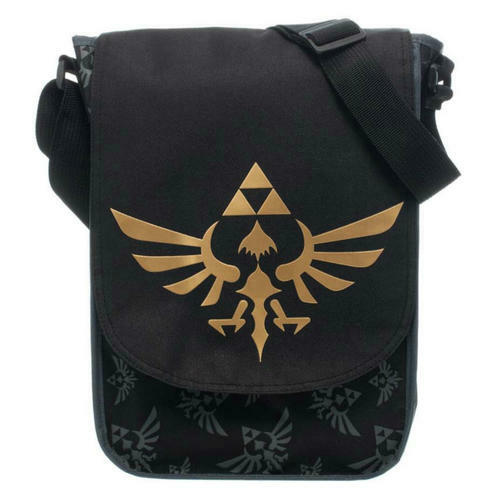 Flight Messenger bag featuring the golden Triforce symbol from Zelda. Adjustable shoulder strap. Officially licensed. 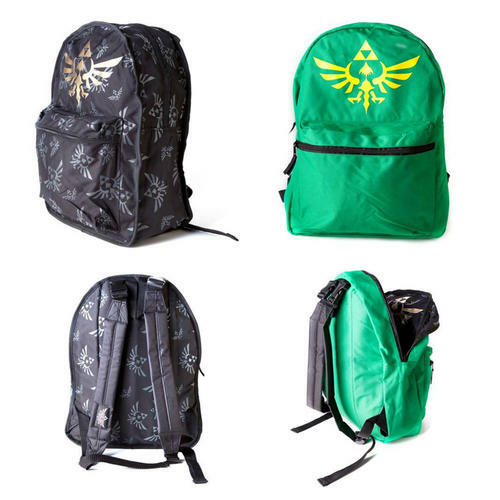 Reversible back pack featuring 2 different Zelda Triforce logo designs, one green & one black. Includes front zip up pouch and adjustable straps. Officially licensed. Messenger Bag with Zelda Triforce logo design. Features adjustable straps and back zip up storage compartment. Ideal for fans of the popular gaming franchise. Officially licensed. 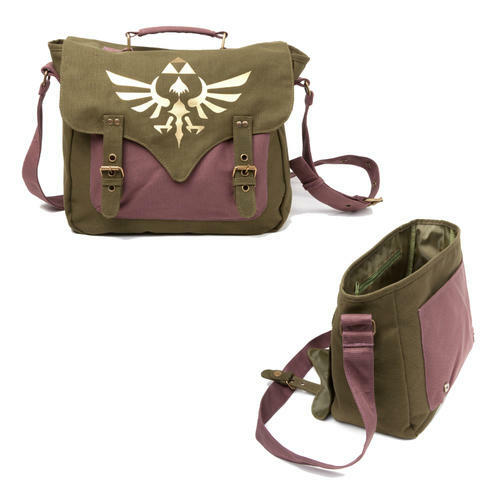 Satchel style Messenger Bag featuring the iconic Triforce logo from the Zelda series. The bag features front pouch, zip-up internal pocket, adjustable strap and buckle style pop button fasteners. Officially licensed. 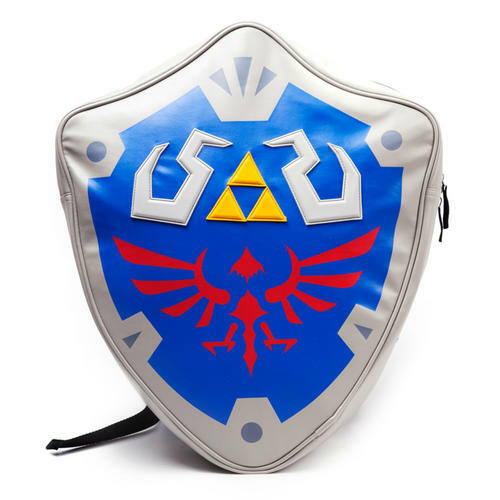 Ideal Backpack for Zelda fans recreating the Hyrule Shield from the ever popular videogame series. 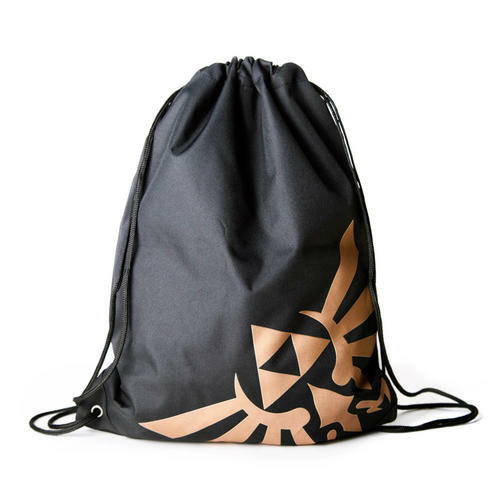 Also features Triforce logo back design, adjustable straps and hanging hook. Officially licensed. 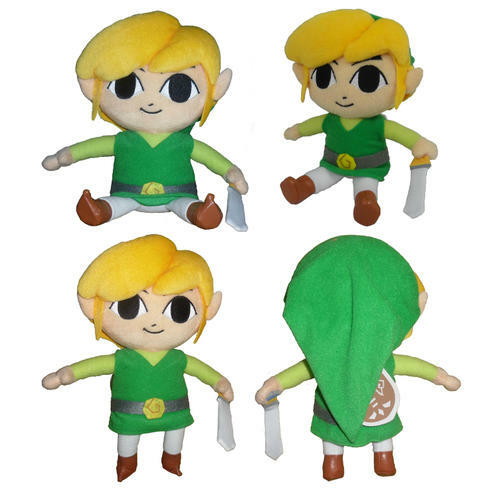 Link, the hero from the Zelda series captured in perfect 16cm plush detail by Sanei. Made using the highest quality fabrics and essential for any Zelda fan. Officially licensed. 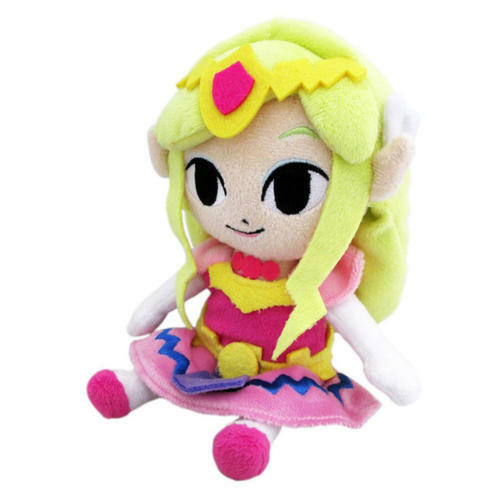 Princess Zelda from the Zelda series captured in perfect 17cm plush detail by Sanei. Made using the highest quality fabrics and essential for any Zelda fan. Officially licensed. 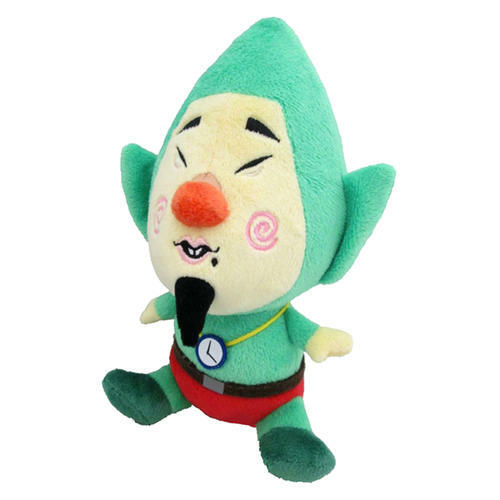 Tingle from the Zelda series captured in perfect 20cm plush detail by Sanei. Made using the highest quality fabrics and essential for any Zelda fan. Officially licensed. 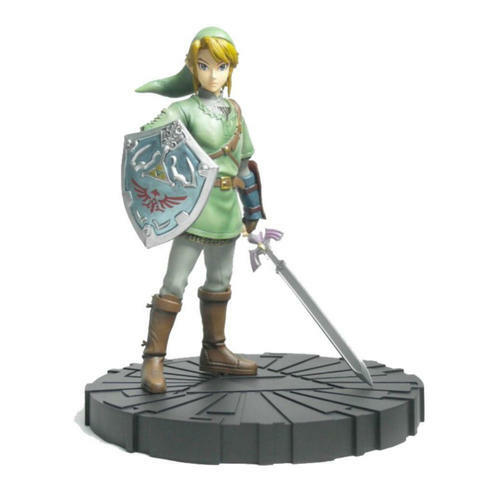 Collectable Link figure standing approx 10” tall and featuring stunning attention to detail. Complete with a solid base & packaged in a collector’s box. Officially licensed. 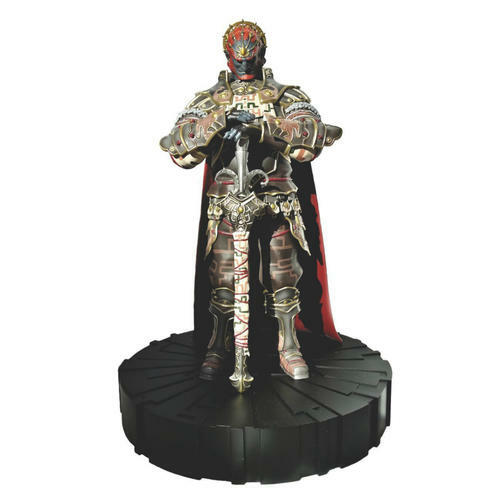 Collectable Ganondorf figure standing approx 12” tall with stunning attention to detail. Complete with a solid base & collector’s box. Officially licensed.